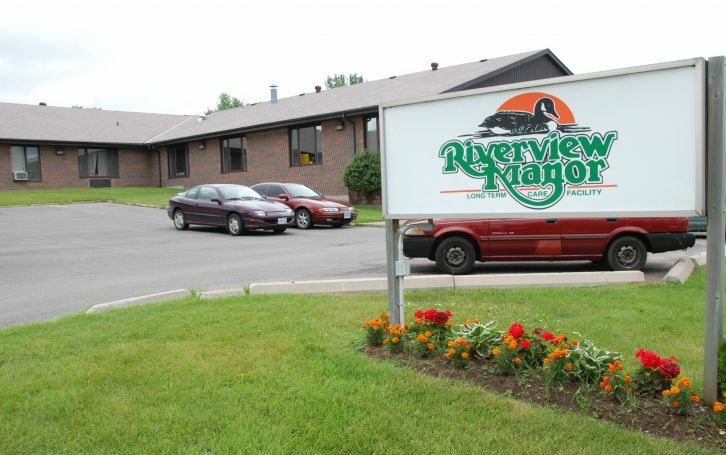 Riverview Manor’s Behavioural Supports Ontario (BSO) team lead says weighted blankets have helped calm residents affected by dementia and other conditions that create anxiety since they were introduced to the Peterborough long-term care home a little more than a year ago. Becky Dennie says the two blankets, which are embroidered with a bear head and ears and are filled with weights, have been used to help residents affected by dementia as well as post-traumatic stress disorder. When worn, the blankets provide a measure of warmth, security and comfort. Initially, these blankets were designed to be used by people who have autism, but they have been found to be beneficial for people living with Alzheimer’s disease and related dementia, Becky says. She says the BSO team has been using the blankets, which were ordered online, with great success. “We use them all the time,” she tells The OMNIway. Becky notes that the weights in the blankets can be added or removed to adjust to the person’s comfort level. According to DailyCaring, a website dedicated to providing caregivers with resources, weighted blankets are scientifically proven to relieve anxiety in people living with dementia. Becky has another way of explaining how residents feel when they wrap themselves in these blankets. “It’s kind of like a hug,” she says. BSO is a provincial initiative to help enhance the quality of life for seniors affected by dementia and other conditions that cause agitation. The funding, which is provided to long-term care homes through Ontario’s 14 Local Health Integration Networks, is largely put towards staff education. If you have a story you would like to share with The OMNIway, please contact the newsroom at deron(at)axiomnews.com. If you have feedback on this story, please e-mail deron(at)axiomnews.com.